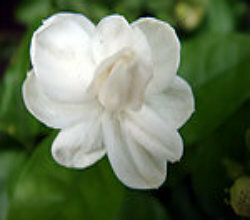 Jasmine Flower(茉莉花, Mo Li Hua,Folk song,民歌) is a popular Chinese folk song. The song dates to 18th century. In time, many regional variations were created, and the song gained popularity both in China and abroad. It has been used during events such as 2004 Summer Olympics, 2008 Summer Olympics and 2010 Shanghai Expo opening ceremony, and controversially during the 2011 Chinese protests.